When workers are to perform high-risk tasks under breathing air, especially in confined spaces, their breathing activities should be monitored at all times. It is crucial to provide the ability to identify abnormal breathing patterns immediately, even when line-of-sight is not possible, before the situation turns life threatening. 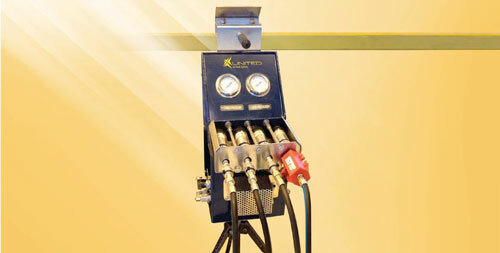 United Safety created a custom breathing air regulator system that distributes air from a single high pressure air storage. This system incorporates separate flow meters that monitor air usage per user in real-time, allowing safety personnel to remotely monitor worker’s breathing air patterns. This increases safety and reduces the number of bottle watch personnel required. Applications: Upstream and downstream industrial, single or multiple work locations, work at heights (columns/towers), greater distance from air source.